Sundays at Haji are all about taking SANCTUARY. We take sanctuary in our healing practices and our yoga, our community and our SELVES. Beginning April 7, we are given the opportunity to wind down from the day and week with a new class led by Maria Lanier, aka Sista Shamon! to empower you to release stress from your body, mind & soul. Once you are relaxed you’ll be open and ready to receive 30-minutes of hands on Restful Reiki Energy from Sistashamon that will Revitalize and Restore you, while Radiating well-being into all areas of your life. Reserve your spot today and look forward to this twice monthly restorative experience. SIMMER DOWN in the sanctuary of all the good Sunday healing vibes with Sista Shaman and supportive Haji community. Join us in welcoming Maria to the Haji Tribe of healing practitioners. This class welcomes absolute beginners and all people interested in restorative movement and deep relaxation. Dress in comfortable layers to keep warm in this slow-moving, yin practice. Yoga mats are provided if you need one. Bring your own mat, blanket and pillow to support deeper relaxation.  Class is $10 online/$12 walk-in. Use your 10-class yoga bundle for this class too!